​Amber Kennedy, age 12, took it upon herself this month to sell some of her old & unused toys among her friends and online in an effort to raise money for our foundation! 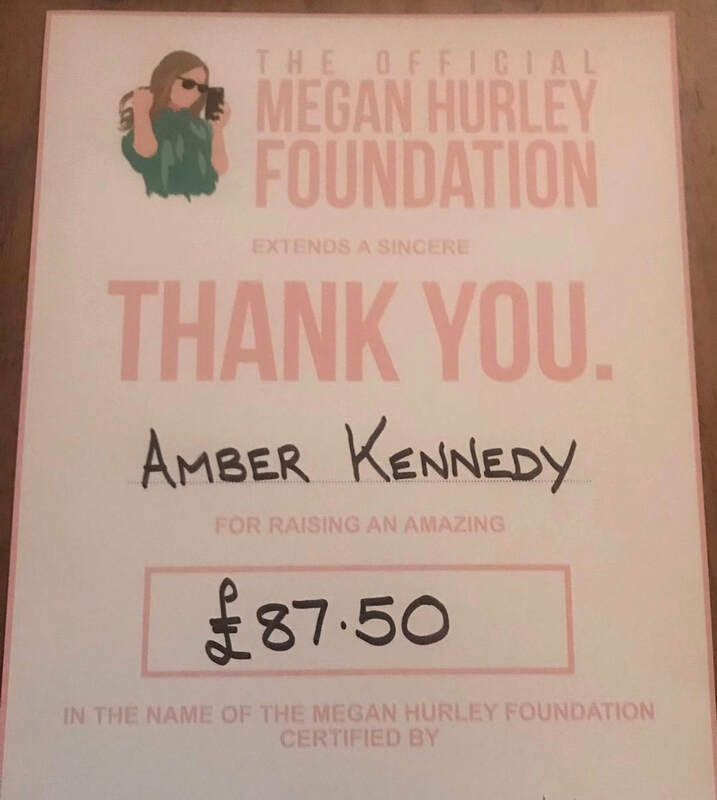 Amber raised an amazing amount for the Megan Hurley Foundation, showing that some of the best fundraisers can be completed using nothing but the items you have at home! A huge huge thank you to Amber for taking part in this fundraiser. Amber was awarded her own 'Megan Hurley pin' for taking part in fundraising for our charity. To find out how you can get involved by starting your own fundraising & have the chance to get your very own 'Megan Hurley pin' then please click here.